Niko Kovac denied feeling the pressure ahead of his first Klassiker in charge of Bayern Munich despite his side sitting four points behind Borussia Dortmund in the Bundesliga. Bayern initially started strongly under their new coach but subsequently endured a run of four games without a win in all competitions to increase speculation about Kovac's future. The Bundesliga champions have bounced back with five wins in their past six games in all competitions but head to Signal Iduna Park knowing they will trail Dortmund regardless of Saturday's result. 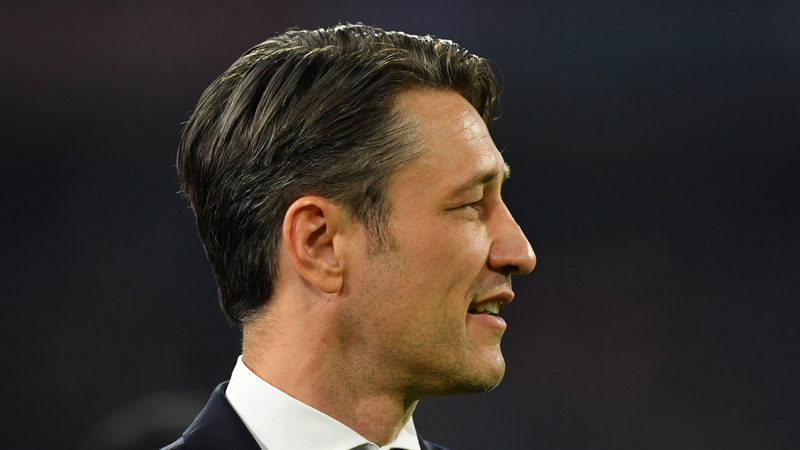 Former Eintracht Frankfurt boss Kovac, though, was calm at his pre-match news conference with president Uli Hoeness having again given his public backing to the coach. "I know that the topic of pressure is big for the media but honestly I don't feel it, believe me," Kovac told reporters. "Two and a half years ago I was at Frankfurt and had a game for relegation, people could have lost their job, that's pressure. "I will enjoy the game, we approach it with an intense feeling, a little anxious, but fear or pressure? I don't have that. It's a part of the job I chose. I could quit tomorrow and everything would be fine. "Generally speaking I think both teams respect each other. I don't think Dortmund don't respect us, they know Bayern are a good team. We haven't performed, after the first seven games, as well as Dortmund - that's true. "But of course we will try to play our style of football because the lads have done that for 10 years. We know defensively we have to show certain skills because they are a very strong and dynamic team, very clear and direct in their approach to goal. "We have to work together defensively, in every Bundesliga game, but tomorrow more than others. "I don't think Dortmund have many weaknesses, right now they have a lot of strengths. They are well trained in all areas, some details they can improve but you must look hard to find their weaknesses." Hoeness has also indicated Kovac would not be sacked even if Bayern fail to win the title this term, despite the club dominating domestically by claiming the Bundesliga six years running. "It shows what I've already said, I enjoy the trust of this club. When did he say that, Wednesday? It's what I've felt and I've said it again and again," Kovac added. "But it doesn't mean we don't want to win the league, of course we do. But talking doesn't help, we have to work for it. Our opposition are a lot stronger than in the last few seasons, a lot of teams were poor last season. "But German teams have signed good teams and a lot of teams are going well. But it doesn't mean we don't want to win the championship."